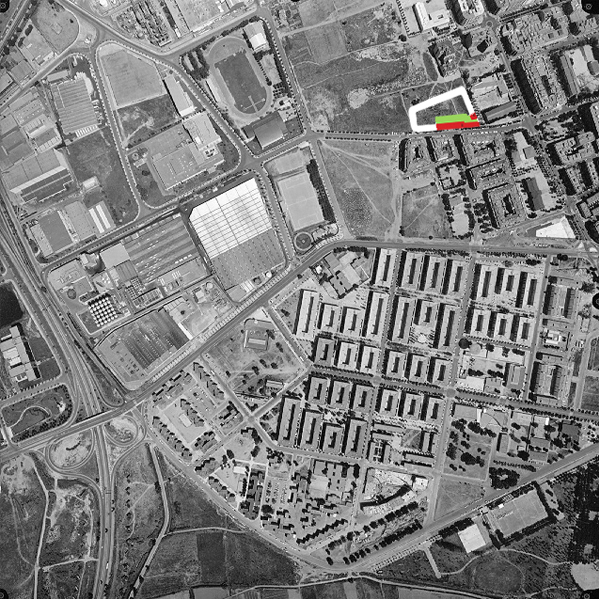 The plot of land is in a newly created area on the outskirts of Barcelona. As is habitual in such cases the plan calls for a layout in closed city blocks. 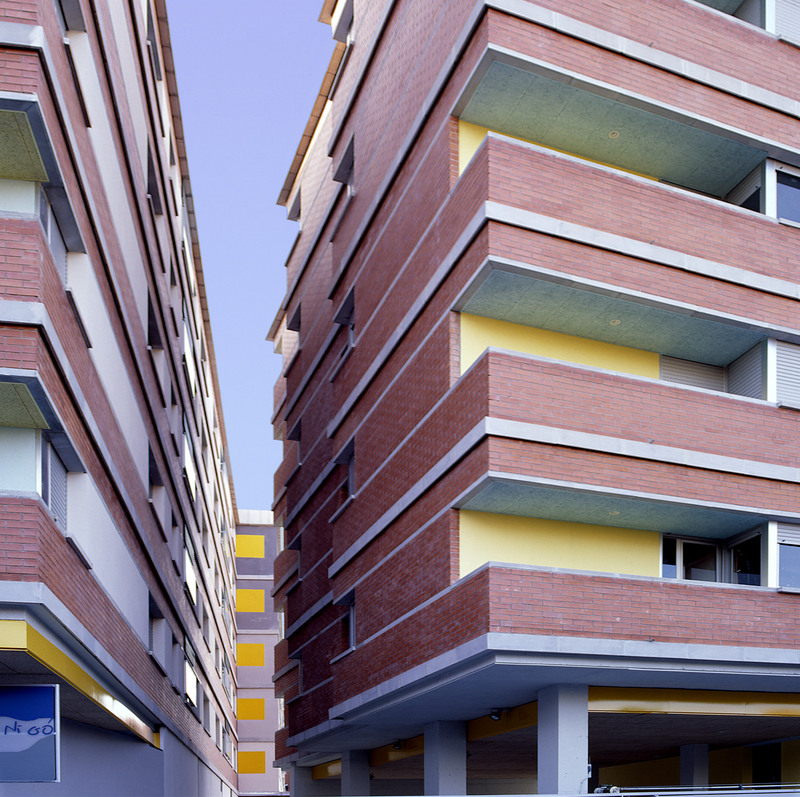 Our project forms part of this city block and involves the construction of a linear apartment block that turns slightly at the end. A special reading of this situation forms the basis of our proposal. 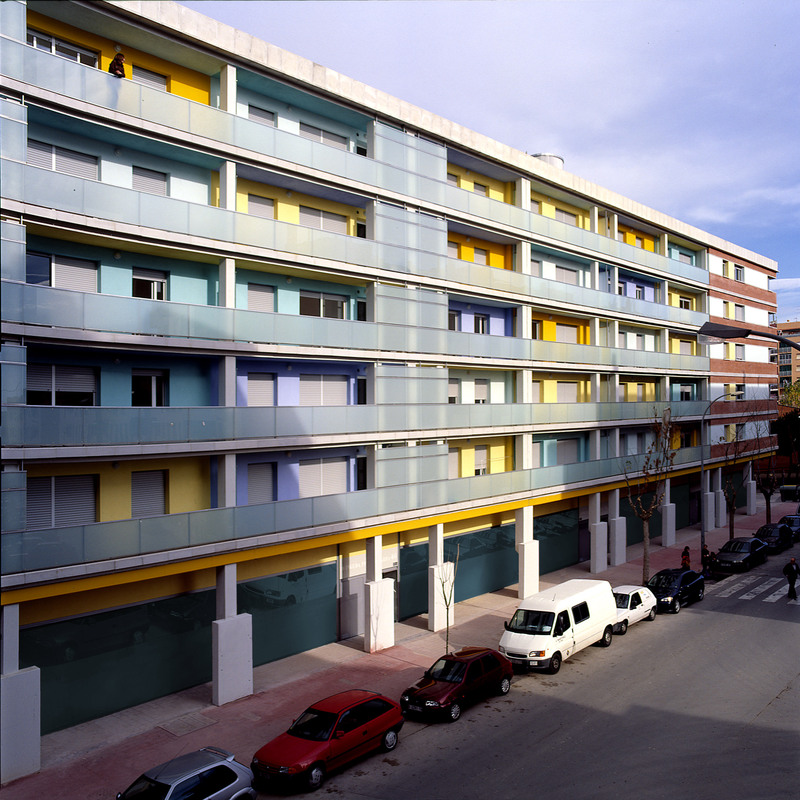 The project is broken down into two blocks: block A following the Avenida Pompeu Fabra. 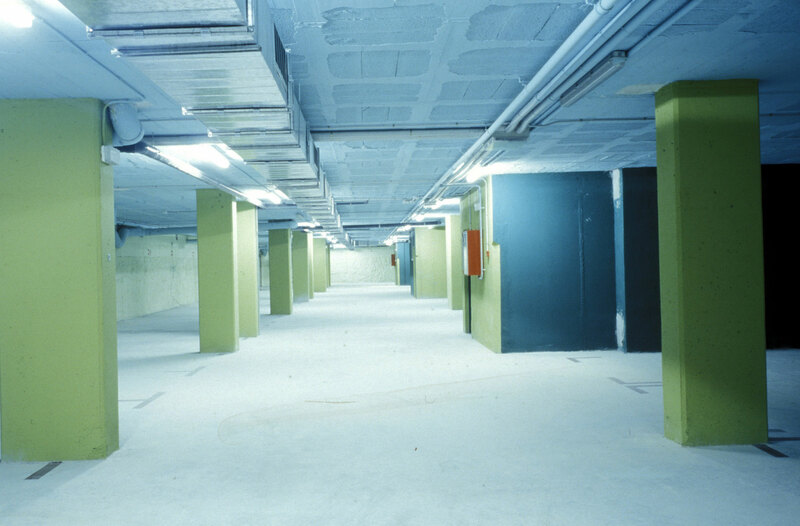 On top of the underground parking a linear block is erected of varying depth where the bulk of the building is set out. 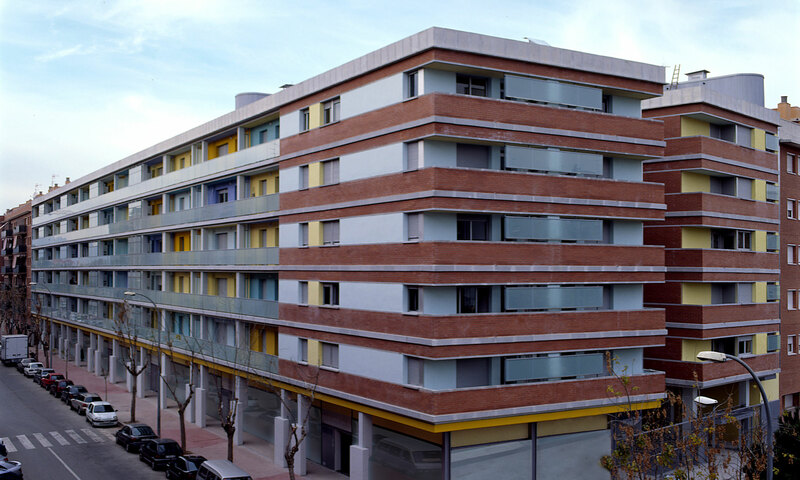 Forming the end of the buildings on the Calle Serra de Canigó, block B is a small building stuck to the party wall that, along with block A, configures the chamfered corner. At the chamfered corner the turning point is designed as a void and not as a solid, a point where the two buildings dialogue. 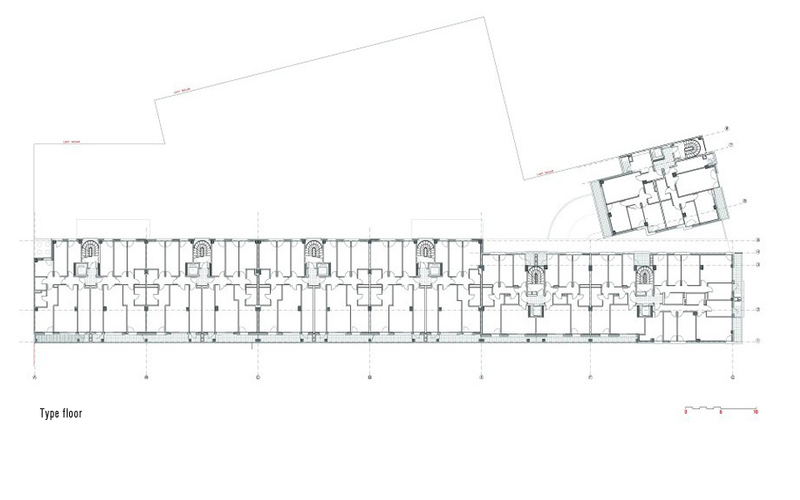 Here, the ground floor gives way to a large covered area suitable for group activities, one that also provides access to the interior patio from whence one reaches the dwellings. 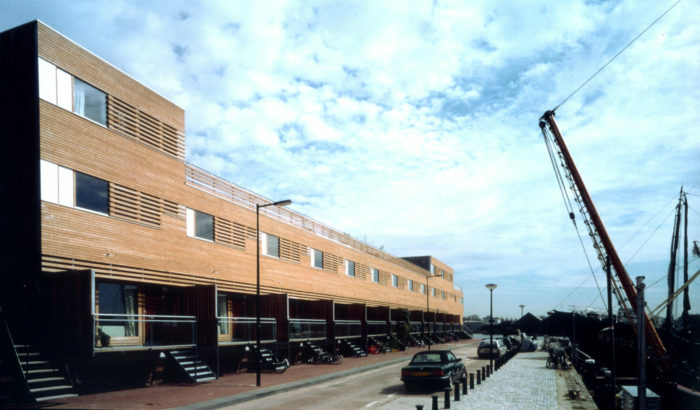 In a “new city” context it doesn’t seem relevant to us to insist acritically on the stereotype of the closed block. 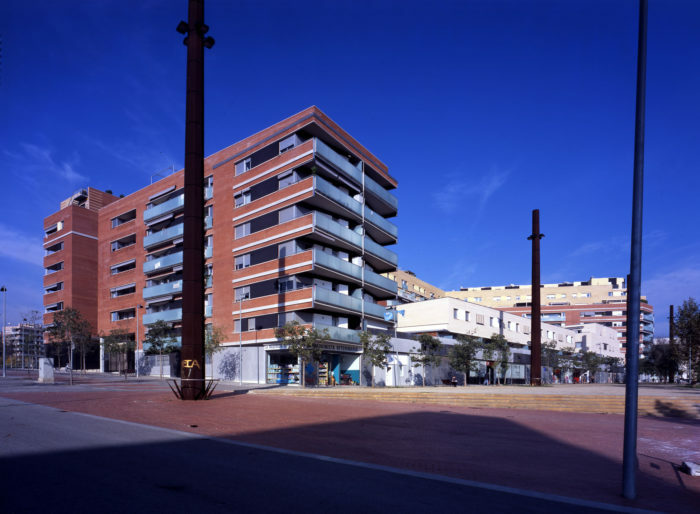 We have tried to privilege the connection with the interior of the city block and its openness by also constructing normal building aligned with the streets. 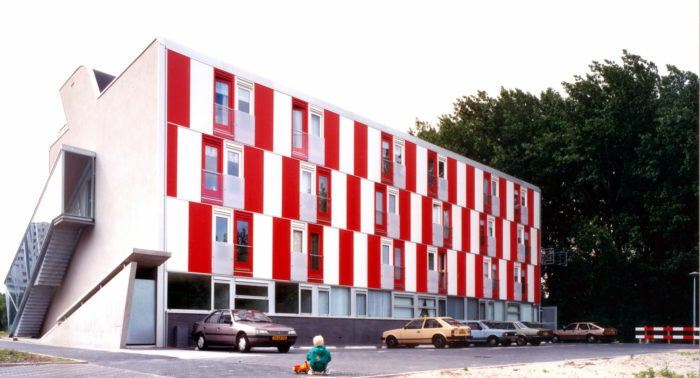 As is customary in such housing, the envelope is protective and discreet. 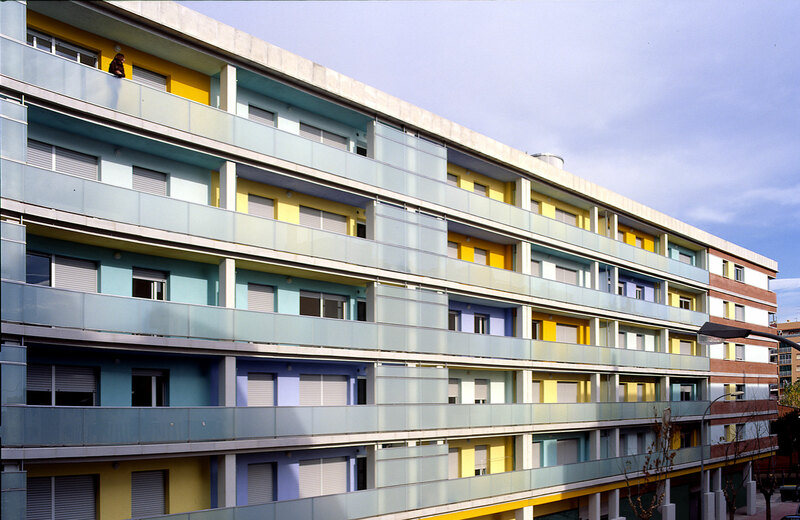 The volume is broken up at certain points (the terraces) where the openness and expression of individuality are greater, in which color appeared as a possibility for highlighting the apartment as an autonomous component of the complex, at the same time as it transforms the image of the building into something remotely connected with the rural world of popular Mediterranean architecture. 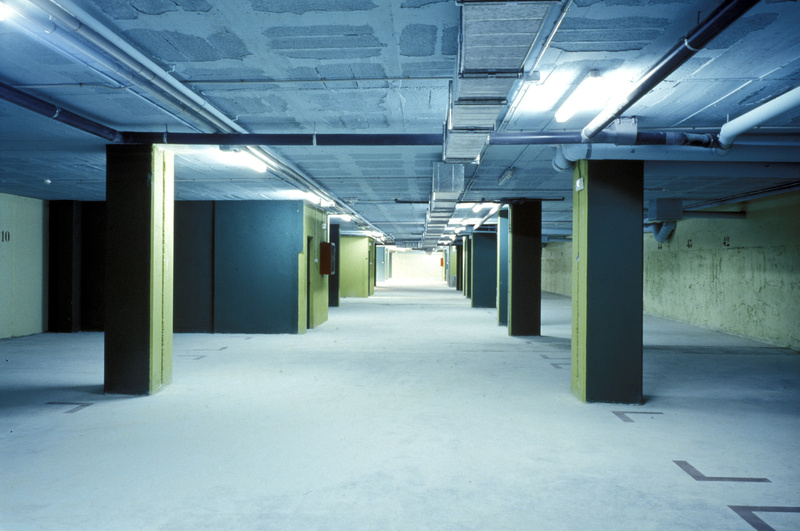 This artist Silvia Hornig has amplified this notion. Next, we continued painting everything (the parking lot was converted into a wood, and so on), much appreciating the rapidity of painting things as opposed to the slowness and crudeness of building them.